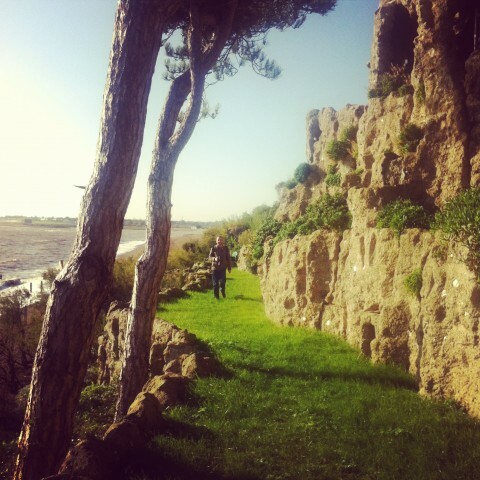 Here’s Andrew catching a few rays of winter sunshine mid-shoot at Alexanders College in Bawdsey. It’s a stunning location to work in and we had a real adventure. Networks of secret underground tunnels, cliff-top follies, Italian sunken gardens, the crashing North Sea and radar stations – what more could you ask for.